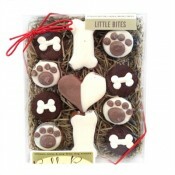 Treat your doggy to a healthy & tasty meal or treat! Doggy In Wonderland provides all natural, gourmet dog food and dog treats your pup will love. Every pooch enjoys a tasty treat or a deee-lish meal. We have all natural dog food and treats for that special pup in your life. 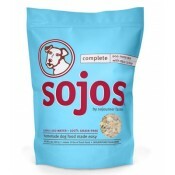 Brands include Sojos, Orijen*, Petcurean*, Taste of the Wild*, The Bear and the Rat Frozen Yogurt*, Fromm*Zukes, Bubba Rose Biscuit Company, Two Sisters, Primal Recreational Bones*, and Lazy Dog Cookie Co*.